Contemporary architecture refers to what is being produced right now. It’s a home style that’s rooted in the present and tends to be innovative and forward-thinking. While contemporary architecture can be based on modern architecture, it doesn’t have to resemble modern architecture stylistically. Modern architecture refers to early and mid- 20th-century architecture that broke with the traditional architecture during that time. Many Mid-Century homes utilize an asymmetrical arrangement of intersecting block forms and a flat roof. The windows of this style feature narrow frame profiles that make the frame subtle and unnoticeable. This architectural style favors windows that are large and arranged in groupings to form rectangles and squares. Picture windows and casement windows are the ideal choice for this home style because of their uninterrupted glass. The windows should have no grilles and ideally highlight a view. The goal for a Mid- Century home is to create a smooth indoor-outdoor flow. Don’t obscure views, and allow your windows to flood the interior of your home with natural light. When designing the interior, focus on ease of living and organic style. Remove excess detailing and unnecessary flourishes and strip down your furnishings and floor plans to their essential forms. Mid-Century Modern homes don’t shy away from patterns, however. You can use heavy and textural fabrics inside your home, along with wallpaper with bold geometric patterns. This home style also uses sculptural lighting fixtures. As a window replacement expert, we can advise you on how to match your new windows with the rest of your home’s furnishings. A contemporary home focuses on smooth forms, strong lines and minimal accessories. However, it’s different from a modern home because there’s room for rule breaking. Instead of looking sleek and clean all the time, a contemporary home can afford to be a bit playful. Contemporary-style homes feel energetic because of their strong emphasis on forms and lines. They also feel expansive because of the abundant open space and the focus on natural lighting. Fortunately, our energy-saving windows provide plenty of natural light. Contemporary design is oriented on a strong horizontal-vertical axis, and the structure of the space is an integral design component. Unlike with a modern home, however, you can afford to balance the look with a few curves. Just stay true to simple geometric forms, like circles, waves and cylinders. This design pattern applies to its windows, as well. Like modern homes, the predominant window types are casement windows and picture windows, but you can choose to use different window shapes aside from squares and rectangles. Walls in a contemporary home are usually left bare because of this style’s focus on minimal accessories. The decor you use in your home should be simple and well chosen. Overscale art is a great option. However, the art should have no frames. Remember that this style focuses on sleekness, which is why it uses unadorned casement windows and picture windows. The art should look sleek, as well. Contemporary furnishings generally have striking profiles and clean lines, so long-legged tables and chairs are common because of their streamlined design. Don’t overuse these furnishings, however, and maintain balance by using a low-slung sofa or cylindrical end tables. Contemporary design also eschews carpeting and rugs. Leave your floors bare to keep your rooms looking sleek. Industrial homes use elements that you can find in a factory setting, such as concrete, exposed wood and corrugated metal. As a home style and window replacement expert, we like this style because of its hardworking and pedestrian quality. Decorating industrial homes can also be quite affordable. Industrial-style homes appear unassuming and comfortable in their own skin, which makes them look stylish. Industrial homes also feature flat roofs and simple forms. Like contemporary and Mid-Century homes, casement windows and picture windows are a good choice for this home style, and arranging the windows in irregular or rectangular groupings will benefit the interior. The furnishings for an industrial home should be no-nonsense and minimal. For the right industrial look, you have to mix new furniture pieces with reclaimed ones. Furnishings from flea markets, garage sales and thrift stores look great as long as they’re clean with strong lines. Repurposing old items is central to designing the industrial home. Like contemporary and modern homes, industrial homes are big on space. Take inspiration from cavernous buildings like packing plants, warehouses and garages. Your floor plan should be open, and you should feel free to blend rooms together. When choosing the color scheme for this home style, focus on neutral colors that have a cool undertone. Fortunately, our energy-saving windows come in a wide range of neutral colors. The go-to industrial material is metal. Steel, aluminum, iron and tin lend the right touch of sleekness to an industrial home without making the space feel too upscale. Don’t be afraid of highlighting exposed ductwork, metal divider walls or metal stairwells. For best results, choose metals with a matte finish or with a bit of patina. 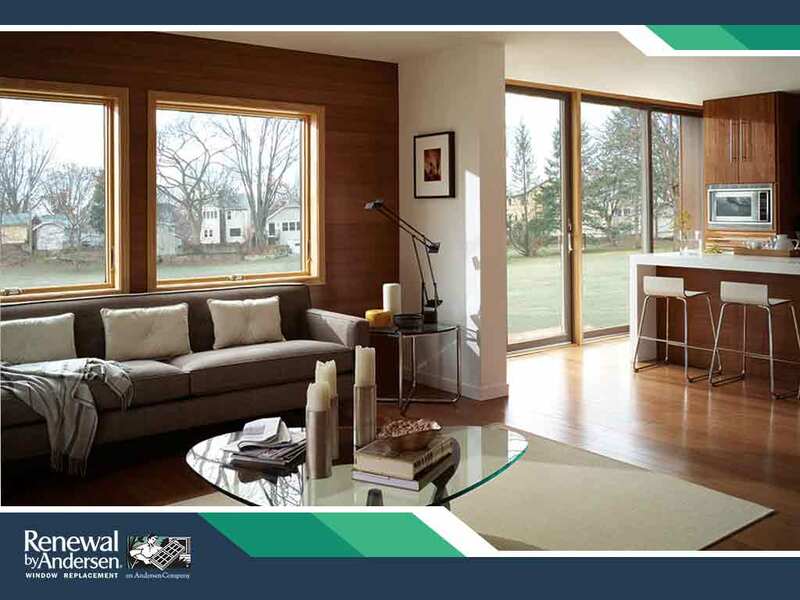 Renewal by Andersen of Eastern NY can install casement windows and other window types that can enhance the appearance of your modern or contemporary home. For more specific advice regarding your home’s style, call us for a free in-home consultation. We will help you choose the best windows for your window replacement project. Call us at (866) 479-1700 to learn more about our products and services, or to schedule a free in-home consultation.